MJX X101, the X-series quadcopter is the flagship model from the brand new Chinese manufacturer MEIJIAXIN TOYS(familiar as MJX), This big size drone is creating a good buzz among the quadcopter flyers due to the fact that its bigger in size and efficient enough to carry a low weight sports action cameras. ( Xiaomi Yi , Amkov 5000s are the best drone cameras for HD aerial video ). Out of the box, MJX X101 looks big, the size is relatively bigger when compared to DJI from prop to prop and definitely in race with the recently launched Tarantula and X8G from Syma, probably this is one of the reason for branding X101 as the flagship model. Though the unique design with two little LED eyes make it look spooky, the build quality looks promising. 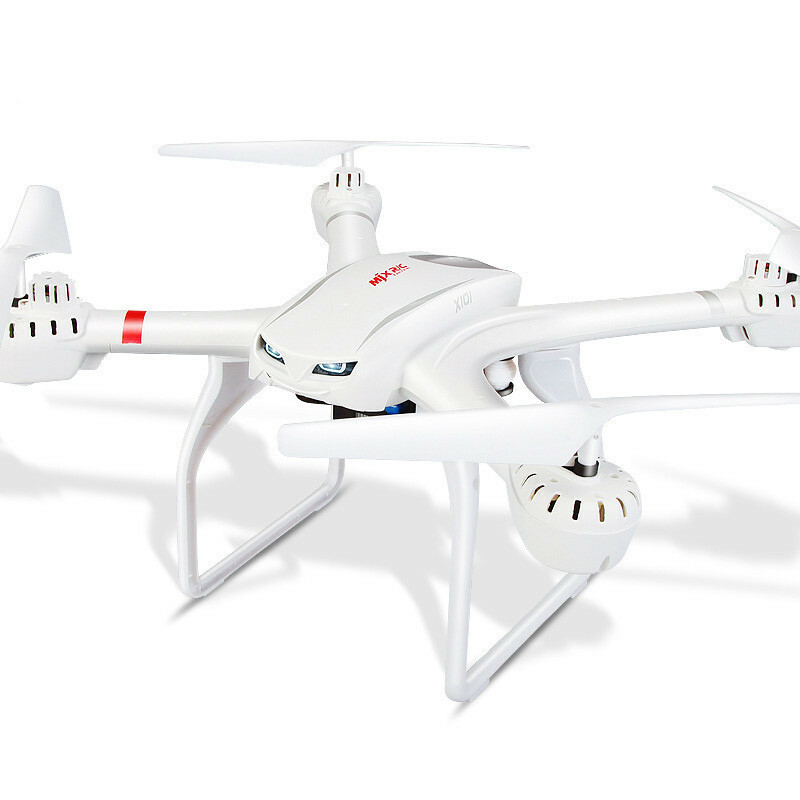 To add to that, base model comes equipped with the anti-vibration mount for smooth aerial video., this mount is also a housing for the 2 cell 7.4V 1200 mAh Lipo battery which allows upto 10 minutes of the flight time, might vary if the drone is equipped with the camera. Another advertising feature of this drone is the Remote control positioning system, also called Return to Transmitter, when triggered,the MJX X101 would locate the transmitter and places itself almost near to it. In fact quite interesting to know how well this feature will work, in combination with headless mode but with no GPS. The transmitter of the MJX X101 has its own distinct identification, well deigned, with easy to use control buttons. The throttle an aileron stick design in black looks solid and remind me CX-20. The rotating radial knob is a special mention for limiting the throttle speed (called , throttle limit mode ) along with the ability to switch the left and right throttle modes. The 2.4GHZ spread spectrum technology will be an added advantage to enhance the control distance of the drone, which is about 100 meters and above. 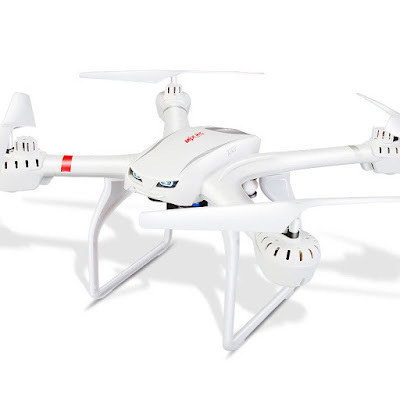 With all said, MJX X101 quadcopter is a well priced at $45 with good design and features.